"My skin just looks dull," is the usual story patients tell me during their initial skincare consultation. In an average week, I see around 30 to 50 patients looking for that miracle solution for a flawless complexion, comparable to the airbrushed, contoured faces they are constantly exposed to. Of all these patients, many of them will chop and change their skincare products numerous times and can end up quite frustrated when they don't get the results they want to see. On the other hand, the vast majority of patients I successfully convert to medical, evidence-based skincare do in fact see a positive change and find a product or products they stick to and love. The problem is that the sheer volume of different medical brands, ingredients and products can sometimes be a bit daunting. The truth is, most of these products are just variations on a theme, with a fairly limited number of key active ingredients. The main thing then is knowing what ingredients to look out for, how much (percentage-wise) you need and what form you should be using to get closer to that dewy, glowing complexion everyone craves. Keep scrolling for my guide to shopping for glow-giving skincare. Vitamin C, followed closely by vitamin A, is the champion of all medical skincare ingredients. It's present in lots of foods, so us humans get this essential vitamin from our diets. 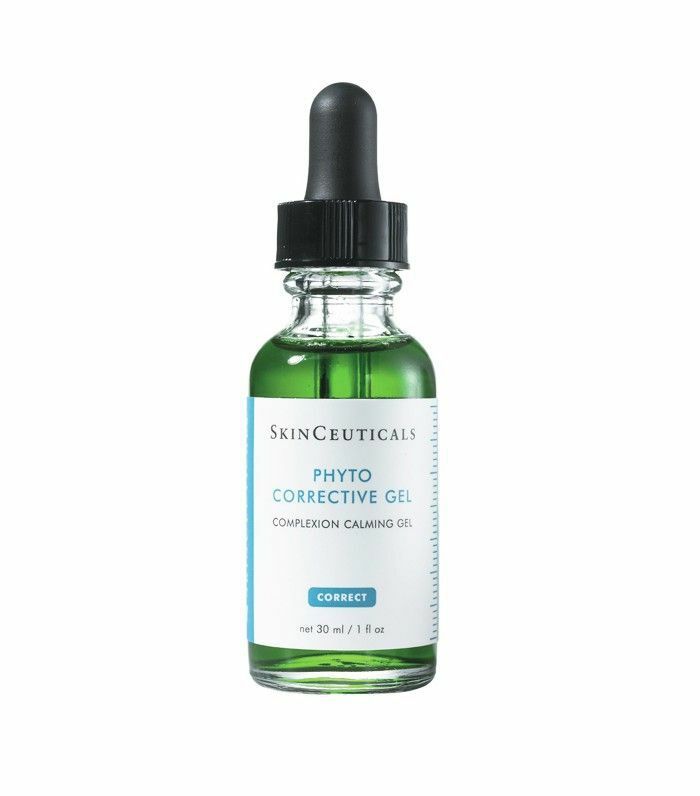 When used on the skin, this strong antioxidant soaks up nasty free radicals (the damaging molecules our skin cells are constantly exposed to), reducing cell damage and aiding DNA repair. 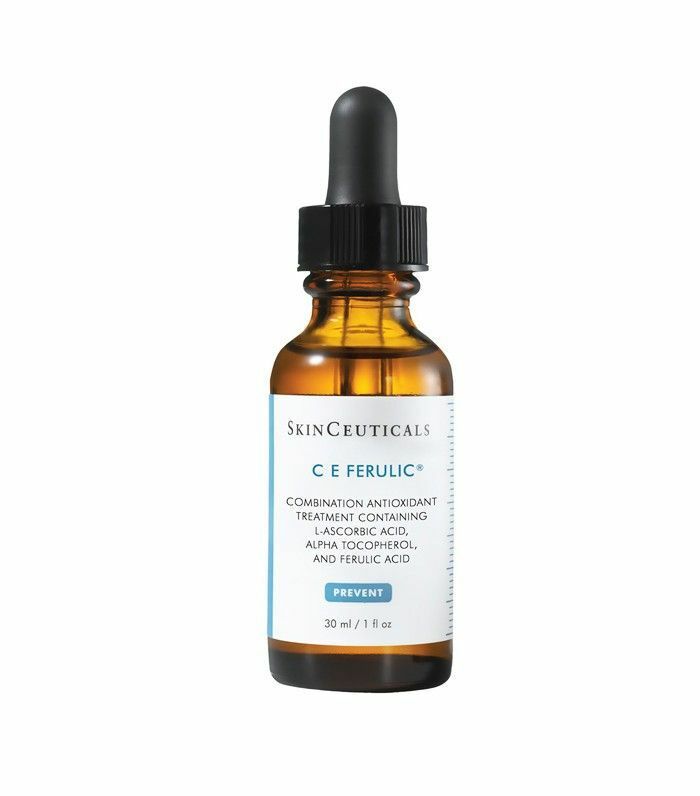 Vitamin C (aka ascorbic acid, its chemical name) also reduces melanin production in areas of hyperpigmentation (sun spots) and stimulates the collagen- and elastin-producing cells to up their game. As with all vitamins, a few different forms of the molecule exist and have different potencies of action. The L-ascorbic acid form is the most active form of vitamin C on the skin and is generally thought to be the most effective. With this in mind, the higher the concentration, the higher risk of irritation too. So usually for a newbie, a concentration of 10–15% L-ascorbic acid is recommended, although concentrations up to 25% are available without a prescription from a doctor. 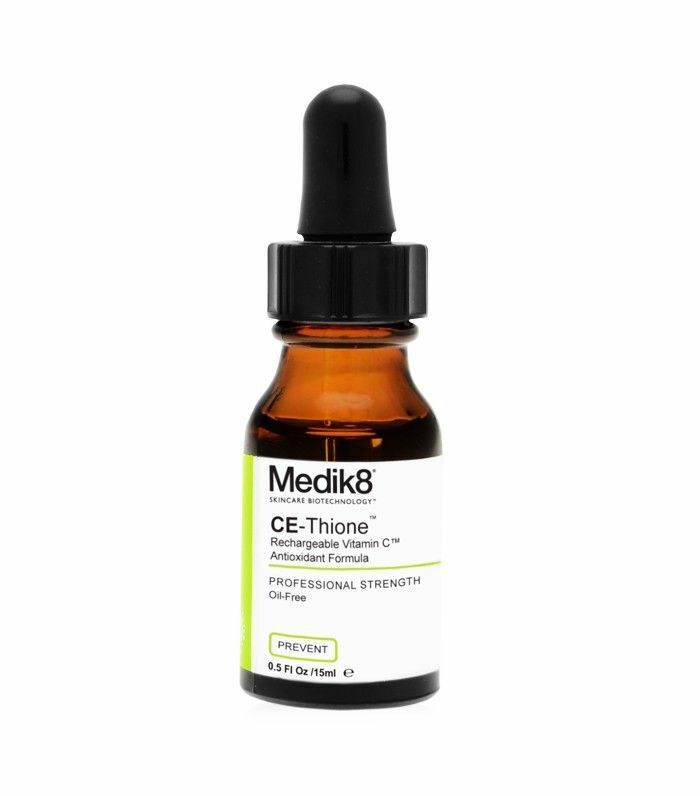 This combines 15% vitamin C with vitamin E and ferulic acid (another potent antioxidant) in a serum. A little goes a long way with this product, so use sparingly and it should last for a good two to three months. Vitamin A is another skin wonder molecule. It has a huge number of benefits including thickening the deeper layers of the skin by stimulating collagen production, reducing the production of sebum (so it’s great for acne), exfoliation, reducing pigmentation and repairing cellular damage. The problem with vitamin A is that it can have a number of side effects depending on the dose—dryness, redness and irritation have all been reported. It can also increase sun sensitivity, so use of a good sunblock alongside is essential too. Like vitamin C, vitamin A comes in a number of different forms—the most effective ones for the skin are tretinoin (which needs a prescription), retinol and retinyls (such as retinyl palmate). These are usually used at night when cell division and repair is highest, and also because exposure to sun and air can cause vitamin A molecules to break down. This is why any good vitamin A product will come in an air-tight container. Over-the-counter products, usually retinol or retinyl, should be started at a low concentration about 0.3–.7% and then increased to about 1–2% as your skin starts to tolerate it. To avoid side effects, you should start a vitamin A product twice per week for the first few weeks, increasing to every second day for a few weeks then every day after a few months. 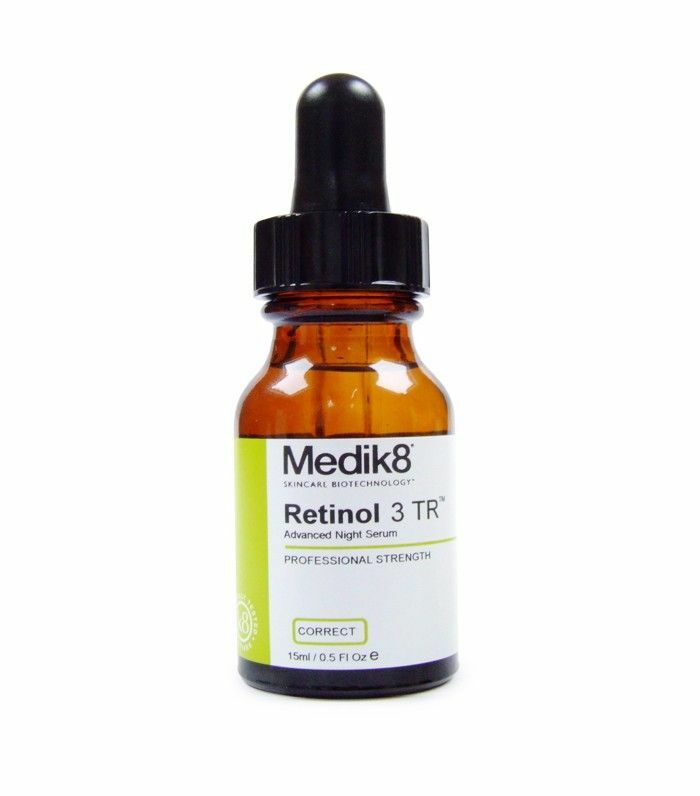 This is a serum containing 0.3% all-trans retinol, the most clinically effective over-the-counter form. Alpha-tocopherol or vitamin E is a superstar when it comes to reducing inflammation and damage to the skin by free radicals. It tends not to irritate, even in high doses and has a cooling, soothing effect on the skin so it's present in many healing products. The d-alpha-tocopherol form of vitamin E comes from natural plant-based sources and is used in most of the best products. Vitamin E is also thought to help reduce the appearance of scarring. Glycolic acid, along with lactic acid and some other similar molecules, belongs to a group of chemicals called alpha hydroxy acids (AHAs). These are found in various fruits and milk, but in skincare, it most often comes from synthetic sources. Like vitamin A, AHAs usually would be started at a low concentration as they can cause irritation. As the skin gets used to AHAs, you can increase the concentration without much risk of ongoing irritation. At concentrations above 4%, glycolic and other AHAs exfoliate and reduce areas of overly thick skin. They also improve levels of hydration of the skin by increasing molecules called glycosaminoglycans (GAG), which are important for a youthful complexion and hydration. In order to work, AHAs really need to be left on the skin for a period of time, so using wash-off products with AHAs is a little bit pointless. Creams or serums containing them as leave-on products are much better. As a key component of skin and connective tissue in the body, hyaluronic acid (HA) is one of the glycosaminoglycans that the AHAs (such as glycolic acid) boost. HA molecules themselves are also antioxidants, which help repair sun damage in the skin and attract moisture, hydrating the complexion. HA can be used without irritation at high concentrations to soothe and plump the skin. Niacinamide or vitamin B3 is another star molecule that acts to improve skin elasticity and hydration by increasing the levels of molecules called ceramides and fatty acids in the skin. 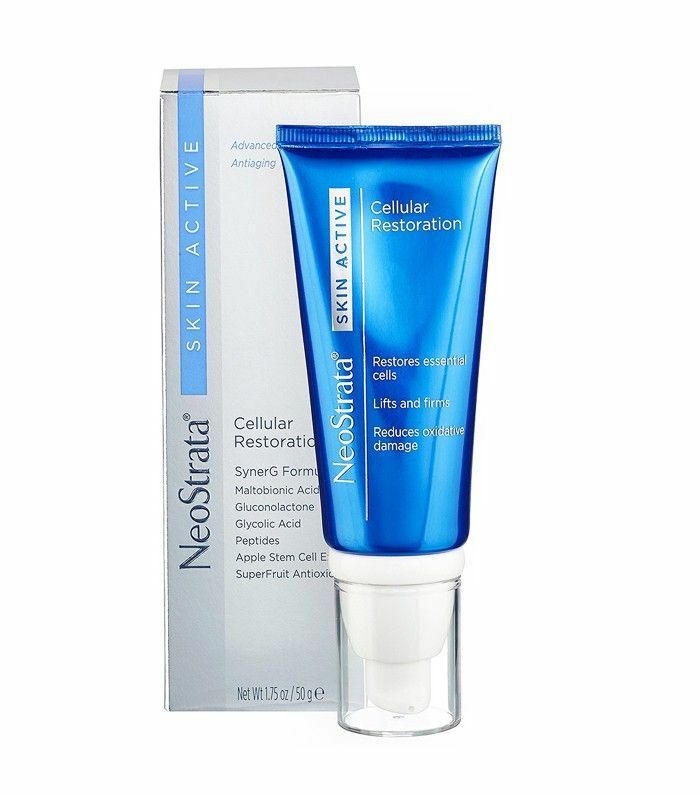 These molecules, in turn, stimulate fibroblast production of collagen, increase blood flow to the skin to help repair and reduce areas of uneven pigmentation. Salicylic acid has been around for decades in skincare but remains a key exfoliating molecule in many different skincare products. It is a beta hydroxy acid (glycolic acid is an alpha hydroxy acid) and is chemically very similar to aspirin. Salicylic acid is well known as a treatment for acne as it reduces irritation of the skin and penetrates the pores to reduce oiliness and clogging. At low concentrations (0.5–2%), it works in a similar way to the AHAs as an exfoliator and at higher concentrations can be used to remove warts and other skin problems caused by hyperkeratosis (thickening of the top layer of the skin). Similar to the AHAs, salicylic acid also helps to plump the skin and promote repair. 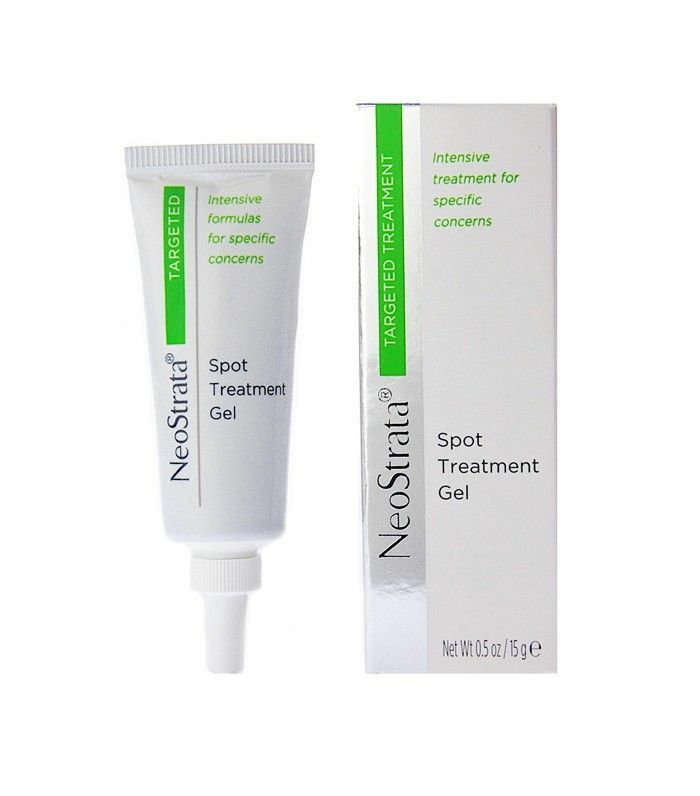 This gel combines 2% salicylic acid with several AHAs to unclog and exfoliate active acne spots. Found in abundance in red grapes, the "wine antioxidant" resveratrol has been shown to be a potent anti-cancer molecule, in addition to its anti-inflammatory properties. 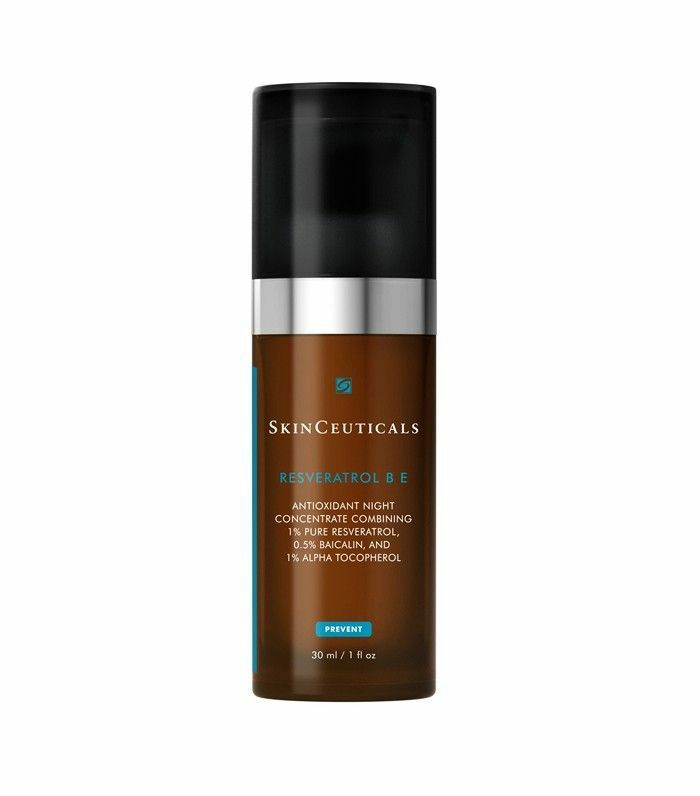 Resveratrol has fairly recently become available in topical serums, and it is believed to repair cell damage associated with sun exposure and may reduce inflammatory changes in the skin. 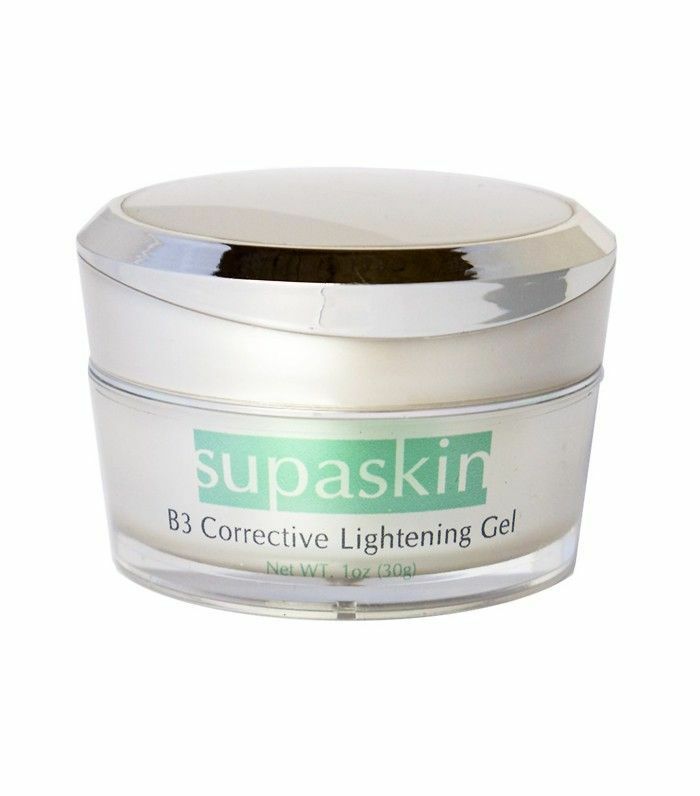 "The body’s most potent antioxidant" has been the subject of great interest in skincare in the Far East and Asia for its skin-lightening properties, but it has a number of other benefits such as the ability to reverse and repair cellular sun damage, reduce inflammation and even out skin tone. In Asia, and even sometimes in the UK, people are injecting this tri-peptide for its multitude of beneficial effects. Dosage-wise, the sky is the limit as even extremely high doses have been found to be non-harmful. Do you have a skincare question for Dr. David Jack? Let us know in the comment box below. Follow Dr. David Jack on Twitter @drdavidjack.